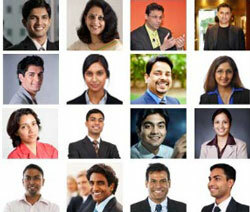 We at Core Careers have been shaping individual careers and organizations since the last 15 years. It is this years of professional expertise which makes us one of the leading placement consultants in Kolkata. Our esteem recruitment service has remained unmatched over the years. It is our continuous strive for providing the right placement to the ideal candidate which makes our service an impeccable one. We boast of offering one-of-a-kind staffing solutions to deserving candidates in various fields. To name a few of these fields are- IT, BPO, Technology, etc. No matter whether you are a newbie or an old player in your industry, Core Careers ensures that you get the right placement as per your qualifications. Bulk Hiring: Through the process of bulk hiring, we at Core Careers help you in finding the best talents in the industry. Further, we offer the most cost-efficient model to our clients. Recruitment For Permanent Positions: One of our specialties lies in recruiting suitable candidates for permanent positions across various roles in multi industry placements in Kolkata. By being in constant touch with the right candidates, we boast of a high ratio of success in joining. Internships: Our team of skilled professionals understands the importance of internships, both in individual careers as well as in organizations. Our range of internship services are aimed at students, colleges and employers. From technology to humanities, we cover each and every stream you can name of as the leading placement consultants. Resume Writing: Candidates can easily enjoy round-the-clock assistance from our experts for their resume writing. These professionals are available both over email and phone for your convenience. Recruitment For Aspiring Job Seeking Individuals: In case you are a fresher or an experienced candidate who is looking for possible job opportunities, our Core Careers team is here to help you in the best possible way. Helping you to find the ideal jobs is a word from us. Training Programs: Our placement consultancy in Kolkata is known for providing various training programs to suit your needs. We provide training programs like- product training, generic training, special training and programs for enhancing lifestyles. Blue Collar Jobs: Our exceptional blue collar job services are helpful both for employers as well as job seekers. Hiring and getting hired through online, is another specialty of Core Careers. Outsourcing: We are even known for outsourcing jobs to third party service providers! Why Should You Choose Us at Core Careers? Core Careers is one of the most reputed placement consultancy in Kolkata. Our team shortlists the right CVs for you, saving your precious time. We assist in connecting you with your professional network. We believe in offering time-bound deliveries. Core Careers has tie-ups with all top job portals both nationally and internationally. We adhere to the description and standards as specified by companies. Our team of professionals is highly skilled with years of expertise in their respective fields. We take special care in assessing the references and psychological state of candidates. We conduct screening interviews through the best experts in respective industries. In case you fail in hiring candidates, we charge no fees. To know more about us, reach us immediately for unique job results. Time to avail our service and make the most out of our placement consultancy in Kolkata!